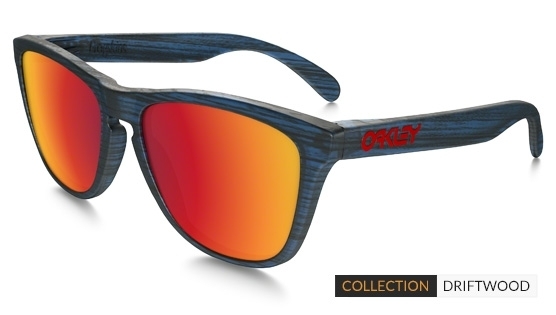 The Driftwood Collection from Oakley offers the wearer the visual texture of woodgrain, a real eye catcher in the line-up. Collections from Oakley offer a wide range of back stories to their inception. With plenty of collections to choose from here we feature their Driftwood Collection. "Our very first lifestyle inspired eyewear brings back the smooth and distinct design of Oakley’s heritage, and the visual texture of woodgrain adds a contemporary touch that enriches it with an organic look." You've got to say, they've hit the nail on the head with this one!